Do you want to add random thumbnail sizes for your image gallery? Sometimes you may need to allow your image gallery to display random sizes for thumbnails to attract your visitors in first impression. In this tutorial, we will share how to create a WordPress gallery with random image sizes. By default, you won’t be able to create random image sizes for gallery thumbnails in WordPress. 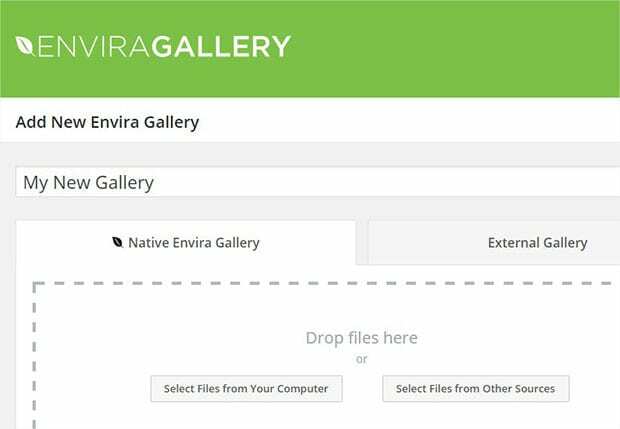 You need a plugin like Envira Gallery to create image galleries that’ll take your photos to next level. 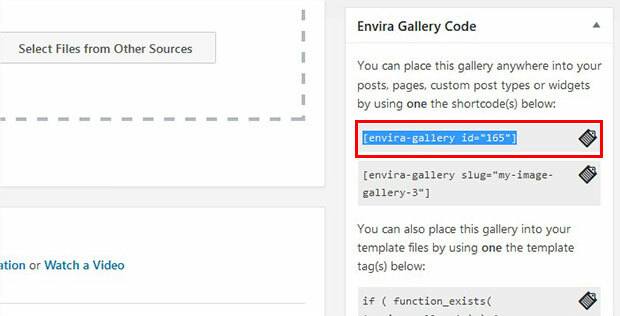 First thing that you need to do is to install and activate Envira Gallery plugin in WordPress. If you find any issues in installing this plugin, then check out our guide on how to install Envira in WordPress. 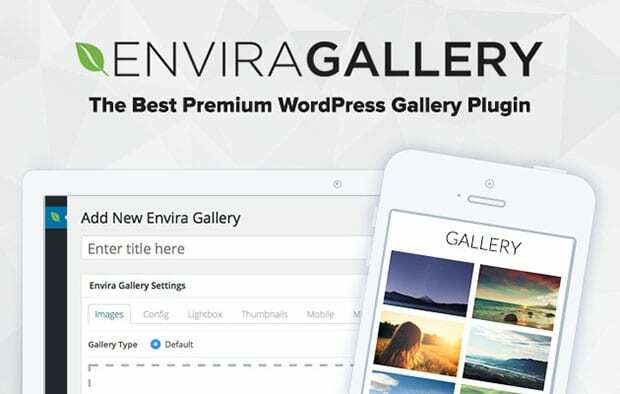 Upon activating the plugin, you need to go to Envira Gallery » Add New to create a new image gallery in WordPress. Simply add a title for the image gallery. Next you should add photos in the Native Envira Gallery section of this image gallery. 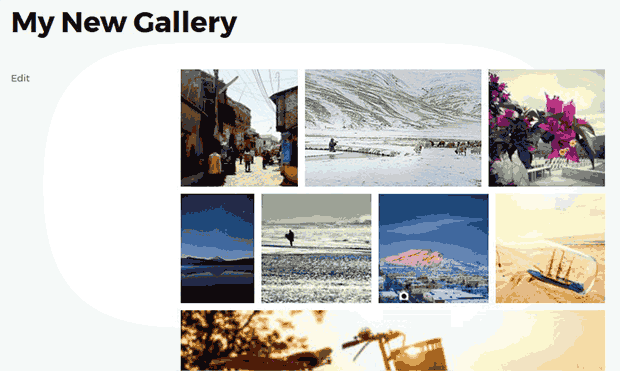 You should check out our guide on how to create an image gallery with thumbnails in WordPress. After adding the photos, you should scroll down to Config settings and go to Image Size option. You need to select Random in this dropdown. When you select Random, it’ll show you multiple sizes below the dropdown. 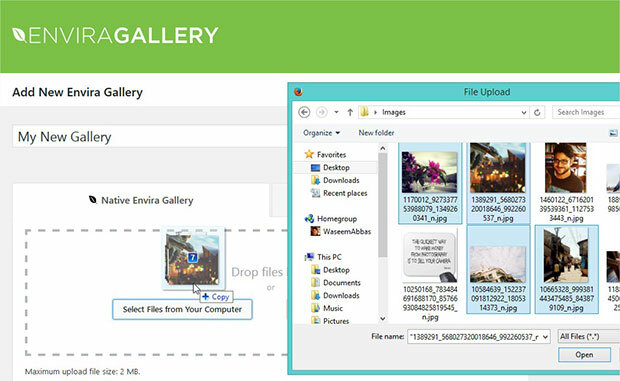 Select one or more random image sizes for gallery thumbnails. Random will allow you to choose one or more WordPress image sizes that will be displayed as thumbnails for gallery view. Once you are done with all the settings, simply hit the Publish button. A new Envira Gallery Code widget will appear below the Publish button. You should copy the shortcode from here. 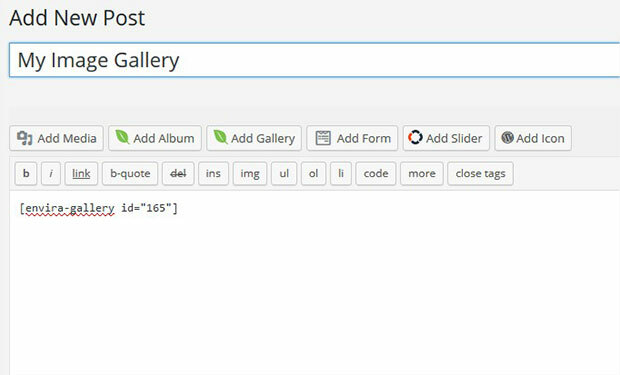 Next you need to go to Pages/Posts » Add New or edit an existing page/post and paste the shortcode in the visual editor. We hope this tutorial has helped you to learn how to create a WordPress gallery with random image sizes. You may also want to check out our guide on how to add custom image sizes in WordPress & OptinMonster’s powerful exit-intent technology to convert your visitors into subscribers and customers. If you like this tutorial, then please follow us on Facebook and Twitter for more free WordPress tips and resources.